Through the efforts of William Roche, Gary Gillett in Montana and Kenton Scott in Pennsylvania, much of George Rosenkrans music has been located, and revitalized for use with the modern concert band. The music has had to be engraved, interpreted and in some cases arranged. Much of George's music was published, but some unpublished manuscripts have been discovered, and several selections that never made past leadsheet compositions have been located as well. Thanks to the advance of technologies, we are able to save music in digital form that easily could have been lost in the passage of time. George Rosenkrans was the grandson of Civil War veteran JH Rosenkrans and son of Allen Rosenkrans. He was born on January 17, 1881 and died on August 18th, 1955. 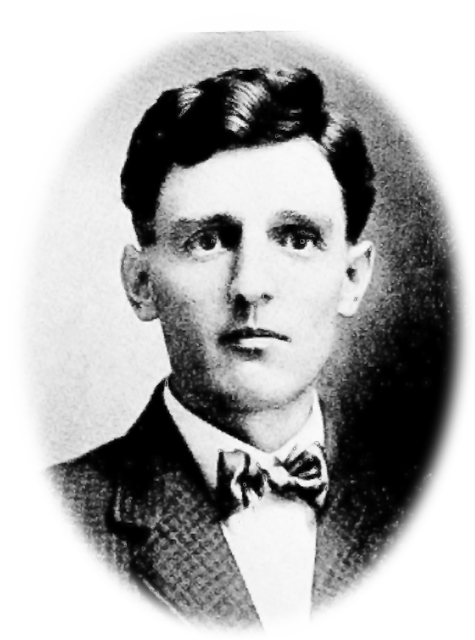 He graduated from Penfield High School in 1898 - the only member of his family to do so, in spite of the fact that his father was, for a while, a school teacher. He composed his first march at the age of 17, titled American Soldier March. He did not arrange it himself, but when he was charged $50 for the arrangement, he decided from then on he could do his own arranging. The American Soldier March was published in 1900. He composed and published Triumphant Battalions in 1903 which was later played by the lead American band upon entering Paris in World War II. My Lady Lindy was published in 1904. During his most active periods, George would produce approximately one march per month. During the 1920's, George's musical compositions became the sole source of income for himself and his parents. George had very strong patriotic, community and religious sentiments and it is reflected in much of his work. Many of his pieces are titled for military organizations and military personnel. "A Royal Welcome Home" was written for Old Home Week Celebrations. And "Immortal Heroes", a dirge, was played at state funerals, including FD Roosevelt, JF Kennedy, Konrad Adenauer, King George VI and Winston Churchill. Because paper was at a premium, he developed a method of writing out the melody on a leadsheet. Then in a lighter hand, he would write the counter melody on the same staff as the melody. After he had developed the composition to this point, he would then start on the next. He would rotate the paper 180 degrees and begin again. He would then turn the paper over and use the same process. In this manner he would have the leadsheets for four compositions on one piece of paper. Periodically when the spirit moved him, he would take one of these compositions and expand it into a full arrangement for concert band. It would then be sent to a publisher. Approximately 18 miles South of George's home town of Penfield PA, is the community of Grampian PA, and Grampian had a town band. George adopted the Grampian band as his test band. He would bring copies of a new piece to rehearsal, explain how it was to be played, and then he would turn his back to the band and listen - he wanted to exclude any distractions. He would then make any final corrections then send it off to the publisher. His work was published by CH Berg, HC Miller, JW Jenkins, JG Richards, Keystone, Fred Jewell, HE McMillen, HN White, Volkweins, K. King, JE Agnew, RF Switz, Orner, FC Menges, Ludwig, Walter Jacobs, Haskins, and CL Barnhouse. His last publication appears to have been in 1948. When his parents died, George was left without people in his life who would take care of housekeeping, nutrition and home maintenance. And, these aspects of his life suffered. By 1936, when he was 50 years old, he lived in a one room home (plus kitchen) that consisted of a pot bellied stove surrounded by coal and ash, a sofa - which was his bed, a table and chairs. Papers were piled in the corners. And he lived primarily on peanut butter and jelly on crackers. As the demand for his style of music declined, his life continued to deteriorate. He died in 1955 at the age of 74. Fourteen people attended his funeral. Known pieces composed by George Rosenkrans. Underlined selections are those that have the music revitalized, those in italices have been located and are awaiting revitalization, and those in the small font have not been located. Click on the title of the piece to see further information on the piece, including when available, sound files and downloadable music. Funebe	 On Guard for the U.S.A.